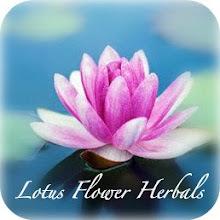 Lotus Flower Herbals: Super September SALE!!! Get 10% off Ylang ylang essential oil purchases between September 1 and 30, 2009. Ylang ylang (Cananga odorata) has a sweet, soft, flowery fragrance that has made it a romantic favorite. In Indonesia, the petals are often strewn across a marriage bed. Ylang ylang is effective for calming and bringing about a sense of relaxation, and it may help with releasing feelings of anger, tension, and nervous irritability. It has a long history in skin and hair care products, particularly in Asia, where it is used to promote luxuriant hair. Ylang Ylang has an approximate oxygen radical absorbance capacity (ORAC) of 1,300,478 (TE/L). TE/L is expressed as micromole Trolox equivalent per liter. Mix together, add to bath, lie back and relax. Add 2 drops Lavender, 1 drop Ylang ylang and 2 drops Vetiver to 5 teaspoons of V-6 massage oil base (or almond oil). Stir gently to mix and massage into body. Add 1 drop Rosewood, 2 drops Bergamot and 2 drops Ylang ylang to 6 teaspoons of V-6 massage oil base (or almond oil). Wear as a fragrance, use as a massage blend or inhale directly from the bottle.